Earlier this year I wrote about the Wyndham / Total Rewards partnership. That post talked about how you can status match between the two programs and redeem Wyndham points at Total Rewards properties (although I had a hard time finding good value there). The one thing missing at that time was the ability to transfer program points back and forth. Now, all you casino high rollers can freely transfer your Caesar’s Total Rewards points to Wyndham – but only up to 30,000 points a year. While not earth-shattering, this move will be especially nice for active Total Rewards players because Wyndham points are actually quite hard to earn unless you stay with Wyndham. 15,000 points gets you a free night at any Wyndham property (or per bedroom in a villa or castle) so you may well find some pretty good uses for those TR points. Will you take advantage of this new option? 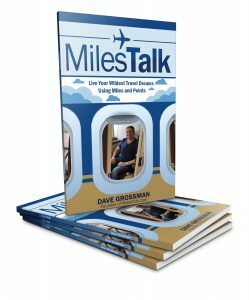 Let me know here or in the private MilesTalk Facebook group.